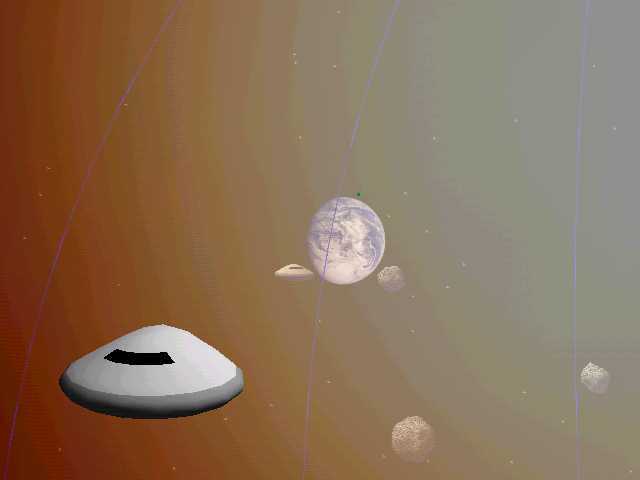 Abstract Worlds Ltd, converging media since 1998. 3D, VR, music, video, gaming, software development, web, mobiles, desktops. 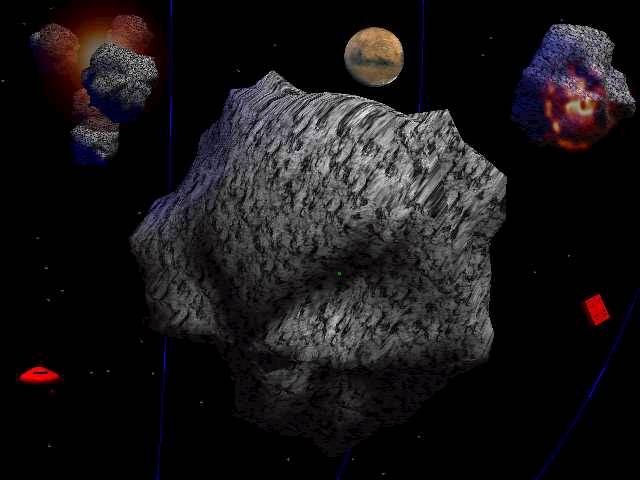 First there was Deep Impact. 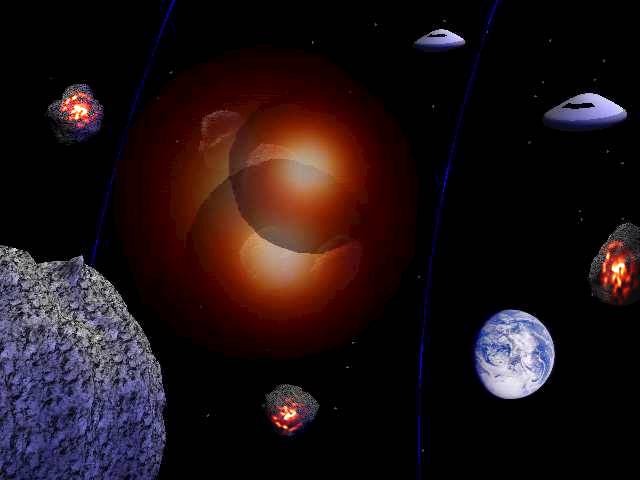 Then along came Armageddon. 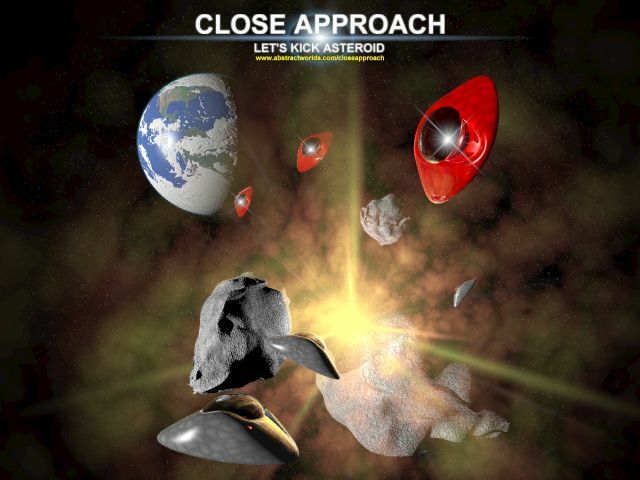 Then Close Approach delivered the biggest kick asteroid experience of them all! 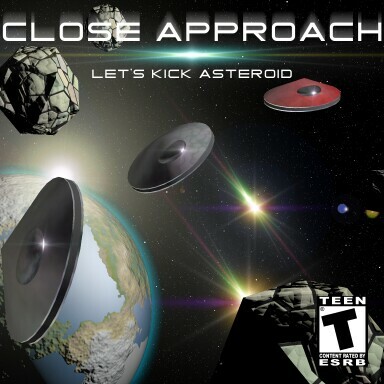 Close Approach was the first 3D accelerated space shoot 'em up action game for the PC developed in Microsoft's Visual Basic (VB5/VB6/C/ActiveX DLL object models/Direct3D/DirectSound3D/DirectInput/DirectX). 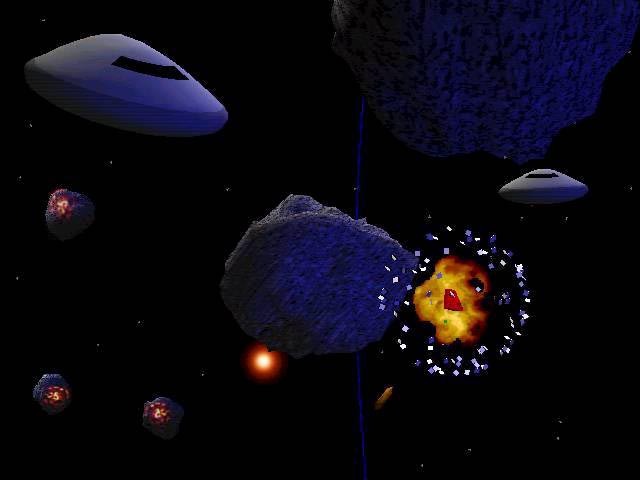 Despite past misconceptions about VB's performance as a gaming language, Close Approach proved that it was possible to produce an enjoyable, fast paced realtime 3D action game in VB. 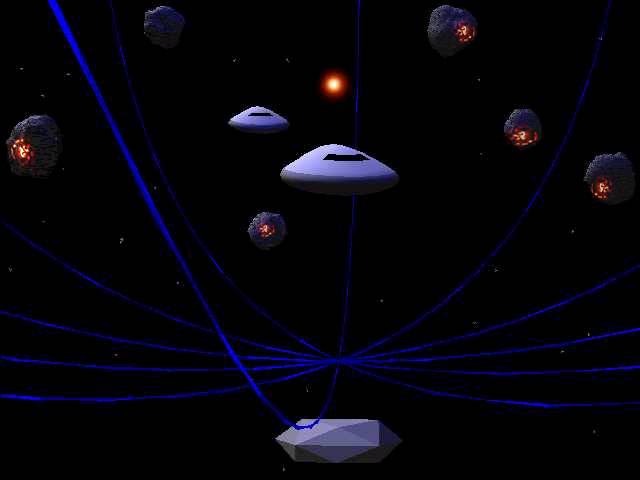 Close Approach was a true 3D, first person shooter, space combat action game where you had to destroy the asteroids before they reached the Earth. 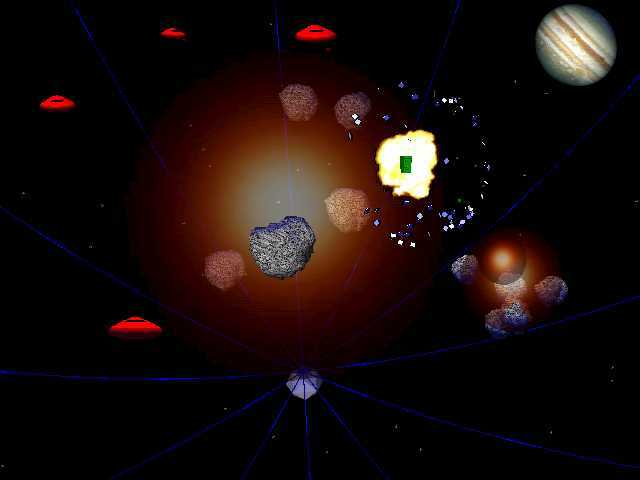 The game was available for Pentium class PC's running Windows 95, 98, ME, NT4 (SP3), 2000, XP. 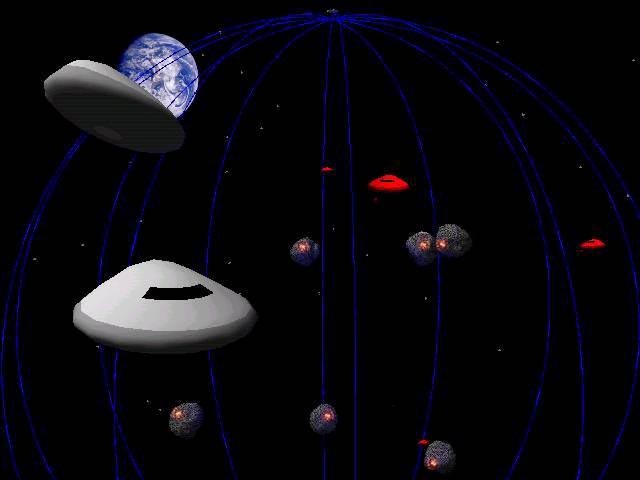 Although not required, a 3D card greatly enhanced the game and all the major 3D cards from various companies were tested and supported (back when the 3D graphics card market had a lot more players: 3Dfx Voodoo, Imagination Technologies PowerVR, Kyro, Matrox G, ATI Rage/Radion, AMD, 3DLabs Permedia, Nvidia Riva/TNT/Geforce, Intel i740, S3 Savage, Sis 6326, Rendition Verite). 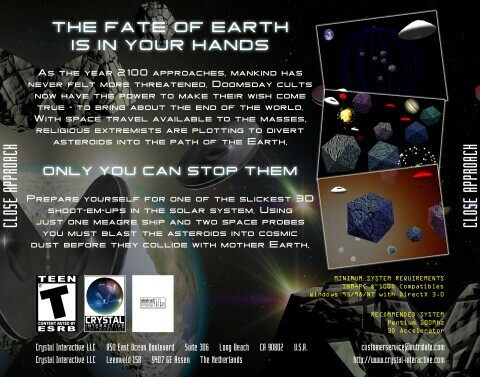 Although the game was available as a download, the game also hit some retailing shelves, including as its own individual product release, CompUSA in the USA (CompUSA was a bit like PC World here in the UK), and demo versions were also included in various retail Game Compilation CD products around the world. 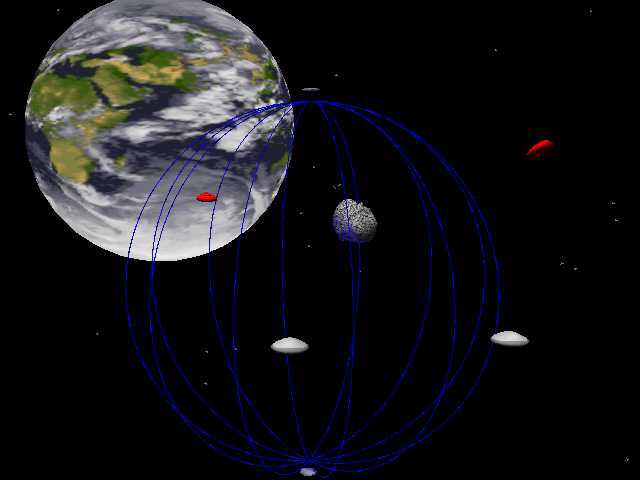 The generic object based 3D engine developed for Close Approach, internally named the Abstract Reality Engine, was re-used by Abstract Worlds for other projects and prototypes in both the gaming and business markets.